When you share your location with a friend through Google Maps, they’ll now be able to see how much battery life you have left exactly. 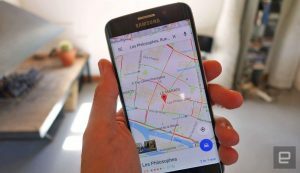 Android Police first discovered hints of the new feature in a Google Maps beta for Android earlier this year, and it’s been making its way to more and more people’s devices since then. Now, it’s more widely available — we can confirm that we were able to access the feature even outside the US. It seems to have made its way to iOS devices, as well.